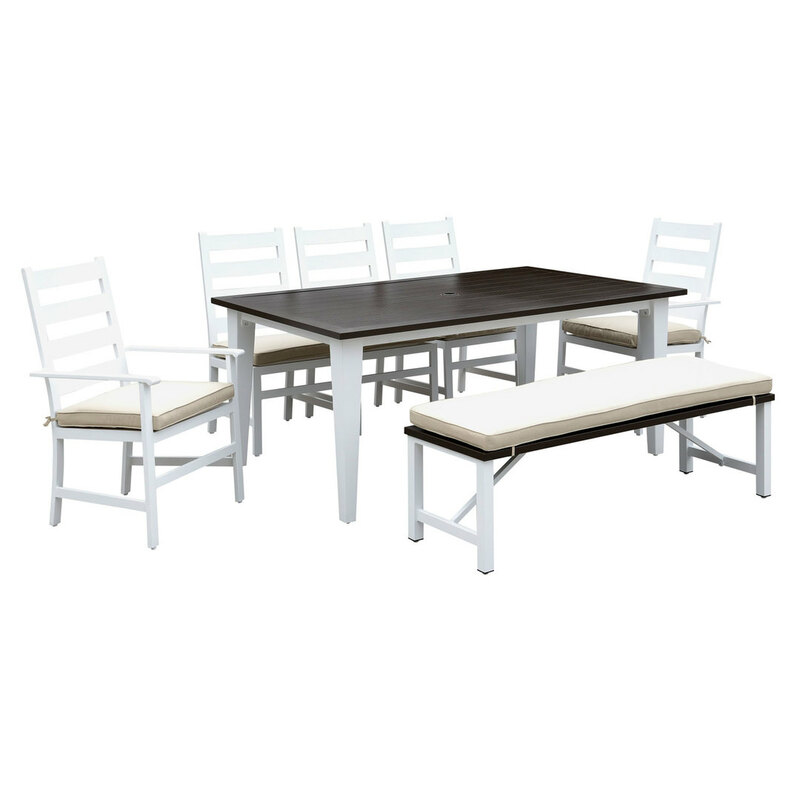 This Mountain Side Outdoor Dining set encourages relaxed, post-meal lingering by combining comfort and traditional coastal style in outdoor friendly aluminum. The dining table features self-storing extension leaves, two-tone powder coated aluminum, and umbrella hole. Set includes table, 2 arm chairs, 2 side chairs, and 1 bench.